The Friday takeaway craving is real, but before you place your order why not try our Friday Fakeaway Pizza Recipe. With less than 300 calories, 11g Fat and a whopping 80g of Protein for the whole pizza, it's a must try! Last year we launched our Eatlean Pizza Kits which offer up the perfect base kits to add your favourite toppings to, to create macro winning pizzas. 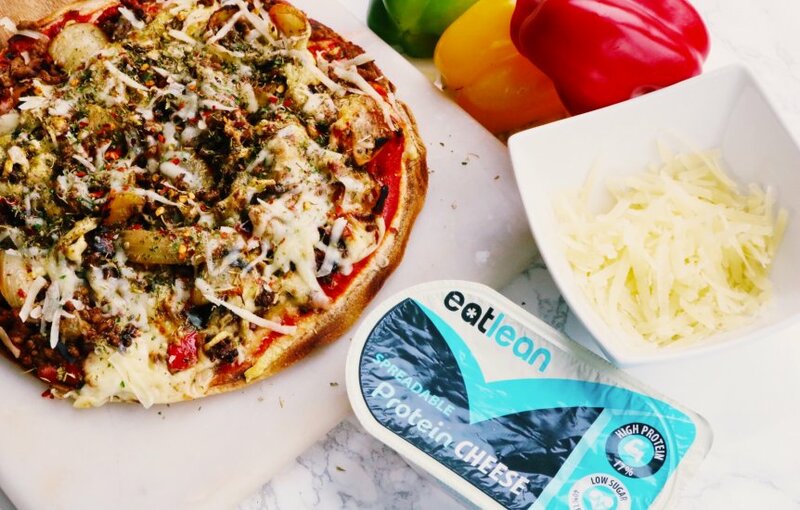 Here we've spiced ours up with lean mince, added our low fat Spreadable Protein Cheese because it's insane on a pizza, and topped with lots of mixed peppers and griddled onions for all the flavour! LoDough - Your new best friend when it comes to homemade pizzas! Each base has just 2.2g of carbohydrates, 0.1g of Fat and 39 calories, so say goodbye to the carby, stodgy bases because pizzas can absolutely be macro winning too! Eatlean Protein Cheese - There's no need to hold back with your cheese topping. Here we add 100g of Protein Cheese for just 3g of fat , 0g carbohydrates, 169 calories and 37g Protein! 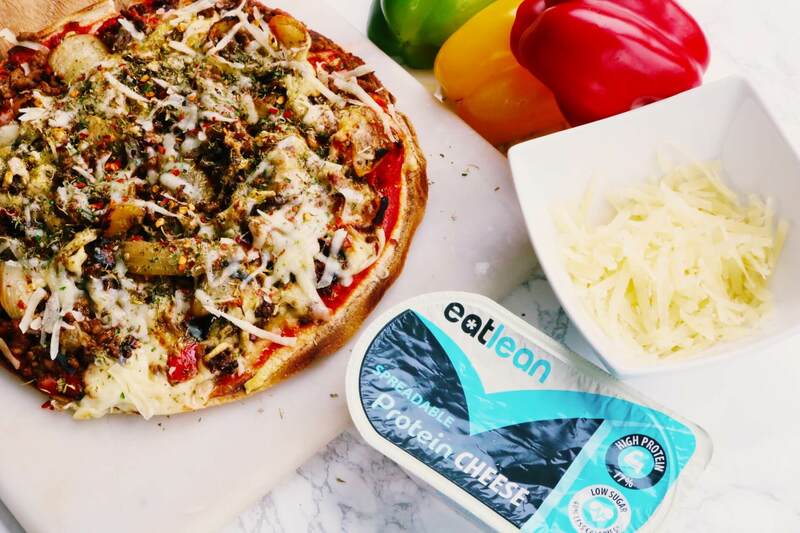 Eatlean Spreadable - Trust us on this one, combined with the spicy mince, this creamy Spreadable cheese is delicious spooned onto the base of your pizza. Say hello to oozing, creamy melted cheese that's low in fat and low in calories too! Spray your frying pan lightly with fry light and add your chopped peppers, low fat mince, chopped onions and spice mix, and fry for 10 minutes until the beef is cooked through and the peppers and onions have softened. Take a Lo-Dough base from your Eatlean Pizza Kit and spread with passata evenly, avoiding the crusts around the edge. Add your mince and pepper mix to the pizza and then top with Grated Protein Cheese and a final sprinkle of the Mixed Italian Herbs. Pop into the oven and cook until the base crisps and the cheese is melted and golden.